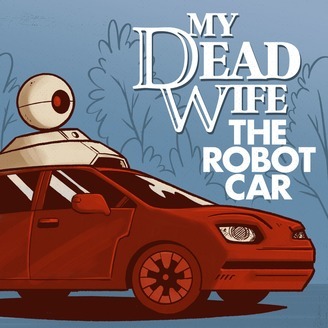 When Matt (Besser) signed on to be one of the first testers of the self-driving robot cars, he was not aware the AI personality of the operating system was his dead ex-wife (Mary Holland). It's like the film "Her"...except he hated her and she hated him. 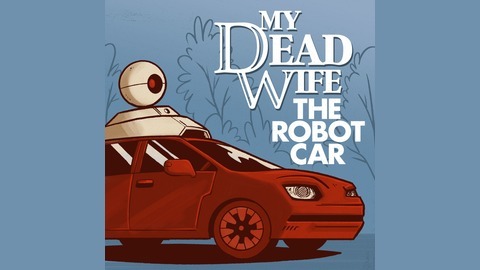 'My Dead Wife, The Robot Car' is a 10 episode improvised series featuring Matt Besser, Mary Holland, Horatio Sanz, Danielle Schneider, Betsy Sodaro, Jon Gabrus, Dan Lippert, Matt Newell, Lou Wilson, Chad Carter, and Mookie Blaiklock. Matt pushes the robot car to its limits by trying to make it drive near water, but Joyce gets her revenge by taking him to the worst parts of town where they meet prostitutes, drug dealers, gang members, and a mobster hit man. Starring Matt Besser & Mary Holland. This episode co-starring Horatio Sanz, Danielle Schneider, Lou Wilson and Dan Lippert as the man with no name.